Consider this statistic: In the United States, 5.3% of the population will at any given time have depression, and the lifetime risk is 7-8% in adults, and higher for women. Forty years ago, the mean age for onset of depression was 29.5; today it has halved to 14.5 years. And though rates differ around the developed world, the incidence of depressive illness has risen dramatically since 1900. Prior to the 1980s, David Burns writes, depression had been the cancer of the psychological world – widespread but difficult to treat – and the taboos associated with it made the problem worse for most people. As with cancer, finding a 'cure' had been its holy grail; everything from Freudian psychoanalysis to shock treatment was applied to the problem, with not very good results. Burns helped to establish a new method of treatment, cognitive therapy, and Feeling Good is his attempt to explain how it works and why it is different. 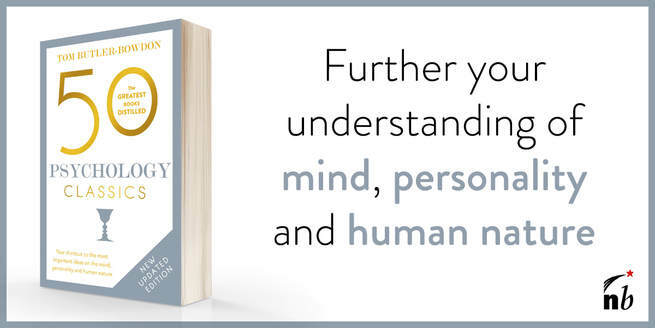 It has been a bestseller because it was the first book to tell the general public about cognitive therapy, and also because it is a surprisingly enjoyable and useful read for the non-depressed, providing possibly life-changing insights into how our thoughts and emotions interact. In the summer 1973, Burns packed his family into their Volkswagen and traveled from San Francisco to Philadelphia, where he was to begin work at the University of Pennsylvania as a psychiatric resident. In the next couple of years he did some award-winning research on the biochemical causes of mood disorders, but in his actual work with depression patients he wondered if there was not something missing in their treatment. At this time Aaron T Beck, also at the University of Pennsylvania, was doing pioneering work on a new talking treatment for depression called cognitive therapy. Beck believed that most depression or anxiety was simply a result of illogical and negative thinking. He noted the remarkable contrast between how the depressed person feels – that they are a 'loser' or that their life has gone horribly wrong – and the actual conditions of their life, which are often high in achievement. Beck's conclusion was that depression therefore had to be based on problems in thinking. By straightening out one's twisted thoughts, one could get back to normal. all our emotions are generated by our 'cognitions' – thoughts. How you feel at any given moment is due to what you are thinking about. depression is the constant thinking of negative thoughts. the majority of negative thoughts that cause us emotional turmoil are usually plain wrong or at least distortions of the truth, but we accept them without question. For Burns this sounded a little too obvious and simple, but when he began working more closely with Beck and actually tried this new talking treatment, he was amazed at how many of his chronic patients were relieved of their destructive feelings. Indeed, early studies demonstrated not only that cognitive therapy worked, but that it was a much quicker way to alleviate depression than other forms of psychotherapy. People who had been suicidal a couple of weeks earlier now looked forward to rebuilding their lives. Others with milder depression said that had never felt happier. But do they? Cognitive therapy's revolutionary idea is that depression is not an emotional disorder at all. The bad feelings we have in depression all stem from negative thoughts, therefore treatment must be about challenging and changing those thoughts. Burns includes a list of ten 'cognitive distortions', such as all-or-nothing thinking, overgeneralization, disqualifying the positive, jumping to conclusions and giving ourselves labels. By understanding these distortions, we are led to the awareness that 'feelings aren't facts'. They are only the mirrors of our thoughts. If it is true, should we trust our feelings? They seem valid, the 'truth', but as Burns points out, it is like trusting the funny mirrors you see in amusement parks to be an accurate reflection of yourself. He notes that “Unpleasant feelings merely indicate that your are thinking something negative and believing it.” It is only by looking at your wrong thinking that you can begin to put your feelings into perspective. This is why, he suggests, “depression is such a powerful form of black magic”. To sum up: because thoughts come before emotions, your emotions don't prove anything about the accuracy of your thoughts. Feelings are not special at all, particularly when based on distortions. Burns asks the question: When you are in a great mood, would you say that your good feelings determine what you are worth? If not, how can you say that feelings you have when feeling blue do determine your worth? Burns is not saying that all emotions are distortions. When you experience real sadness or genuine grief, for instance, or joy, these are healthy and normal reactions. Genuine sadness say, at the loss of a relative, is of 'the soul', whereas depression is always of the mind. It is not an appropriate response to life but a disease of wrong, circular thinking. Depressed people feel wretched even when they are loved, have a family, have good jobs etc. We can have 'everything', but if self-love and self-worth have fled, we feel we are nothing. It is therefore our thoughts about ourselves – our self-estimation - that determines our state of mind. Burns notes that psychiatrists traditionally accepted what a person was saying about themselves. After all, if a person was lying on a couch in their office, they must indeed have deep personal problems! The validity of the patient's thoughts were not properly challenged. A result was that many people went to a psychiatrist simply in order to have their feelings about themselves confirmed and validated. Cognitive therapists, in contrast, refuse to accept the patient's negative view of their self-worth. Instead of sagely listening to a person pour out their feelings and analyzing their meaning, they will often be engaged in a spirited back-and-forth with the patient, trying to point out the silliness or fallacy of their assertions. Eventually, the patient learns to challenge their own wrong thoughts when they are on their own, and this is the beginning of feeling good about themselves. Their self-esteem naturally rises when they are able to turn off the inner critical voice. Do the ideas in Feeling Good really work? Researchers followed two groups of similar patients, one who were given Burns's book to read within a month, and another who were not. Not only did the Feeling Good group experience a significant amelioration of depressive symptoms compared to the blind group, but the symptoms stayed away. Perhaps the key to the book's efficacy is that the reader feels they are not being 'worked upon' but is given the tools to change themselves. The prescription of books like Feeling Good to mental illness patients is called 'bibliotherapy', and among such titles Burns's book is usually top-ranked by professionals. Could reading a book really be as effective, or even better, than drugs or psychotherapy in helping people with depressive illnesses? It is certainly worth trying. As Burns himself points out in an introduction to the revised 1999 edition, his book costs about the price of two Prozac pills, and there are no side effects. The great benefit of cognitive therapy is that you don't need to take any drugs. But in the last chapter of Feeling Good, Burns explains how, for really serious depression, the most effective treatment is a combination of cognitive therapy and antidepressants, the former to improve one's thinking, the latter to lift overall mood. Burns points out that the basic idea of cognitive therapy - that our thoughts affect our emotions and mood, not the other way around - goes back a long way: the ancient philosopher Epictetus rested his career on the idea that it is not events that determine your state of mind, but how you decide to feel about the events. This secret is shared by all happy people, yet it is a skill that can be learned by anyone. Born in 1942, Burns attended Amherst College and received his M.D. from Stanford University. He completed his psychiatric training at University of Pennsylvania, where he was Acting Chief of Psychiatry of its Medical Center. In 1975 he won the A E Bennett Award for research on brain chemistry from the Society for Biological Psychiatry. He has been a Visiting Scholar at Harvard Medical School, and is currently Adjunct Clinical Associate Professor of Psychiatry and Behavioral Sciences at the Stanford University School of Medicine. Feeling Good has sold over four million copies. As well as the successful spin-off Feeling Good Handbook, Burns has published Love Is Never Enough, on relationships, and Ten Days to Self-Esteem.